At the 2010 Academy Awards, a film titled “The Cove” won the Oscar for best documentary. It was a proud moment for producers Fisher Stevens and Paula DuPre Pesmen, director Louie Psihoyos and activist Ric O’Barry, all of whom got on stage to accept the award. It was also the start of an onslaught of bad news for the Japanese town of Taiji in Wakayama Prefecture. “The Cove” was a scathing indictment of Taiji’s 400-year-old dolphin-hunting practices, with scenes showing how fishermen corralled the creatures into a secluded cove. Some of the dolphins were sold off to aquariums and marine parks, the rest were slaughtered for meat. The film was so explicit in depicting the killing process that hundreds of outraged viewers were prompted to take action and now visit Taiji every year, demanding that the practice be stopped. There has been a fair amount of outrage on the other side, too. Many Japanese people have gone on record as saying the film was unfair. Two years after “The Cove” came out, New York-based Japanese filmmaker Megumi Sasaki began preparations for her own documentary on the topic. 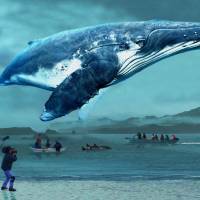 “A Whale of a Tale” (titled “Okujirasama: Futatsu no Seigi no Monogatari” in Japanese, which translates loosely as “The Honorable Whale: Two Stories of Justice”) was finally completed last year and premiered at the 2016 Busan Film Festival, where it received a standing ovation. It’s a tricky subject that a fair amount of the population doesn’t think much about, but for the people of Taiji it means a great deal. “Quite simply, I was fascinated by the controversy,” Sasaki tells The Japan Times, “but I was also pained by what I felt was a very one-sided way of viewing things. “‘The Cove’ showed us what the Taiji fishermen were doing to dolphins in a way that made any counter-arguments difficult if not impossible. As a filmmaker based in the United States, I knew that using hidden cameras and bypassing authority is a very effective way to make a documentary, but I wouldn’t call that journalism. And there were a lot of misleading passages and untruthful depictions in that film. Sasaki dedicated six years to meticulous research and interview and says she now feels like something of an expert on cetaceans, the scientific classification for sea mammals. Taiji has gotten a little wiser, too. It has gradually opened itself up to overseas media and protesters that routinely visit the town. In fact, all the attention has given the local economy a bit of a boost — what could be more appropriate for the digital age than “outrage tourism”? Also, last month Taiji Mayor Kazutaka Sangen visited the town of Klaksvik in the Faroe Islands with hopes of forging a sister city relationship. Fishermen there share the same practices and methods of hunting. 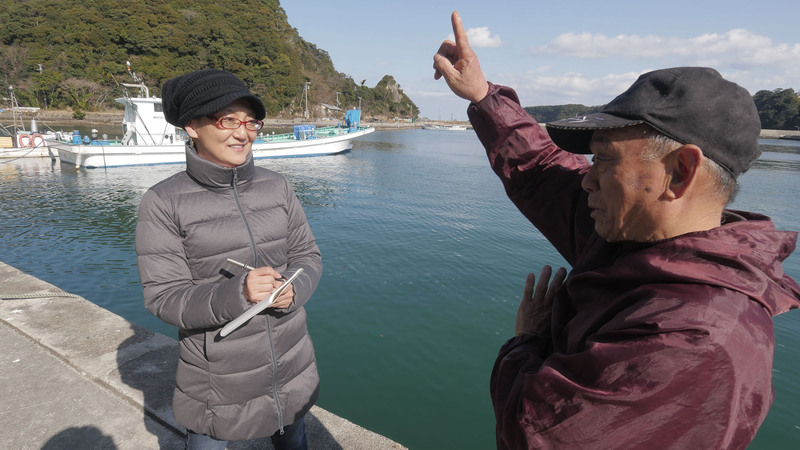 Sasaki says that one of her aims with the film was to convey how killing and eating dolphins and whales doesn’t carry the same cultural weight in Japan as it does elsewhere, though there is a lot of respect for the animals. 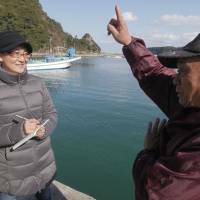 In the film, the mayor explains that Taiji, with a population of under 4,000 people, isn’t blessed with conditions that could make it favorable for farming or industry. “We have always relied on fishing, and we have never stopped being grateful for the bounties of the ocean,” Sangen says. Sasaki says she doesn’t think this sort of argument will convince animal-rights activists, but she still sympathizes where the mayor is coming from. “A Whale of a Tale” shows scenes of dolphin meat being served in school lunches. The big question is: Has Sasaki ever eaten dolphin? Dolphin hunting traditionally kicks off on Sept. 1 in Taiji, and no amount of documentaries, protesters or threatening tweets have changed that (though bad weather can cause delays). Sasaki says she is surprised that the people of Taiji have carried on despite the bad press. Sasaki thinks that at its core, the issue ultimately comes down to the dolphins themselves. “Dolphins evoke such huge emotions in people, and many cultures look upon them as minor deities,” she says, adding that because of this she doesn’t believe people will ever stop protesting the town’s actions. On the other hand, “Taiji’s locals have an extraordinary resilience. Year after year they go out to corral the dolphins and the meat is sold in the local shops. Protesters don’t understand that for the people of Taiji, they’re not just ‘eating’ dolphin, they’re partaking in an ancient ritual that confirm their roots. Sasaki concludes the interview by saying that she isn’t an activist or out to take sides. 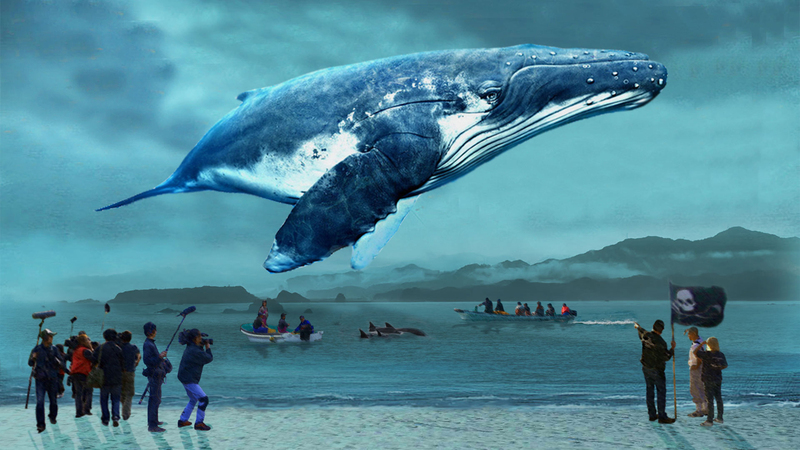 “A Whale of a Tale” hits cinemas on Sept. 9. For more information, visit www.okujirasama.com.